Spacelab 3, the first operational mission of the series, had originally been intended to fly after Spacelab 2, but delays to the instrument pointing system of that developmental mission meant the flight order was reversed. Spacelab 3 would carry a payload of experiments in the fields of materials science, space technology and life sciences. 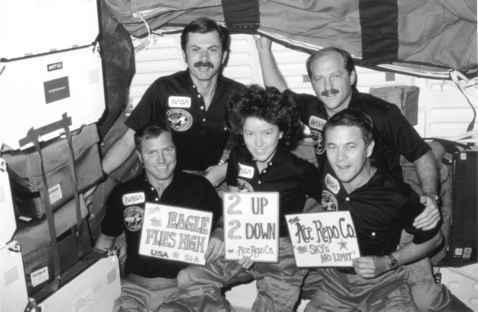 Payload specialists for the flight were identified on 8 June 1984 as Taylor Wang and Lodewijk van den Berg, with their back-ups named as Eugene Trinh and Mary Helen Johnston. In an update to the STS-5 advert the STS 51-A crew proudly display new signs marking their achievement during the mission. MS 3 Dr. Bill Thornton (in training for STS-8). 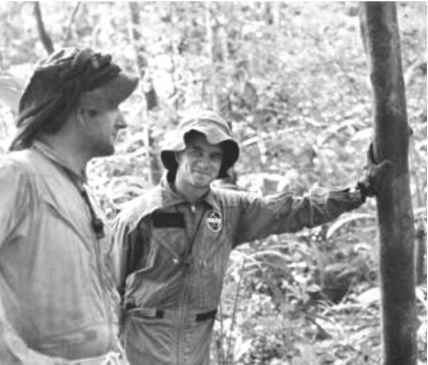 The crew would operate a two-shift round-the-clock mission to gather the maximum possible amount of science data from the experiments during the week-long mission, effectively obtaining two-weeks worth of data. Gregory, Thagard and Van Den Berg formed the Gold Team, while Thornton was assigned to the Silver Team alongside Overmyer, Lind and Wang.